Sometimes, it may happen that we input wrong cost center instead of the correct one. 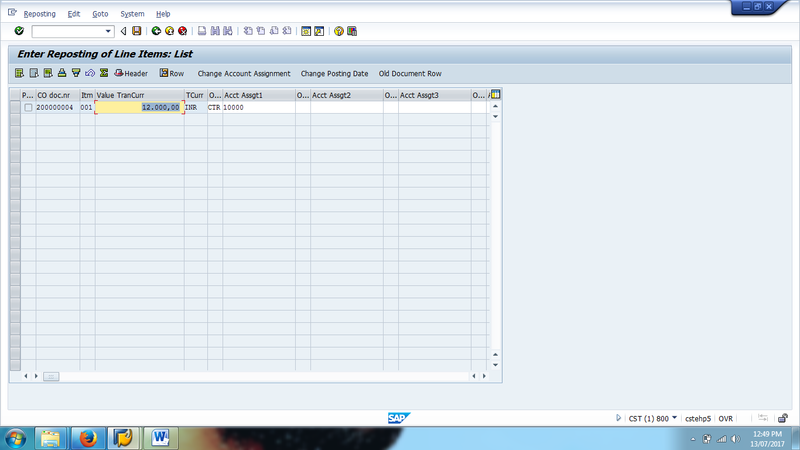 But in SAP, it is not possible to change the cost center once the document has already been posted. There are several ways through which you can correct the cost center. One of the ways is to reverse the original document and post the new document again with the correct cost center. This will affect both FI and CO modules. Another way is to do manual reposting which will not affect FI and it will only have impact on CO. The third way is to repost line items which will not affect FI and it will only have impact on CO but the only difference with the previous approach is that it will link to the original document in SAP FI. The first option of doing SAP adjustment postings is to perform reversal posting. In case of reversal, we need to input the document number, company code and fiscal year along with the reversal reason and post the document through transaction FB08. 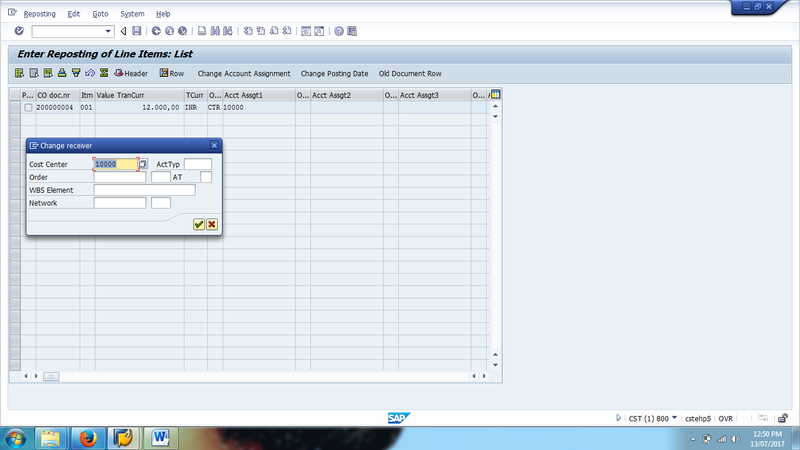 Then, create a new document through whatever transaction used previously with the new (correct) cost center. For example, you mistakenly assigned the amount of 10,000 USD for the cost element External Procurement to cost center 5100. The costs should have been posted to cost center 5120. In reversal, you have to reverse the original document having cost center 5100 and post the new document using the correct cost center 5120. This transaction affects CO as well as FI. The second option of doing SAP adjustment postings is to perform manual reposting of costs. In case of manual reposting, we need to input the cost element against which the wrong cost center [field – CCtr (old)] was entered and enter the correct cost center against the field – CCtr (new). Also, you can provide the reference document number in Ref. Doc. field in this transaction, just in case you want to refer back to the original document which was wrongly posted. 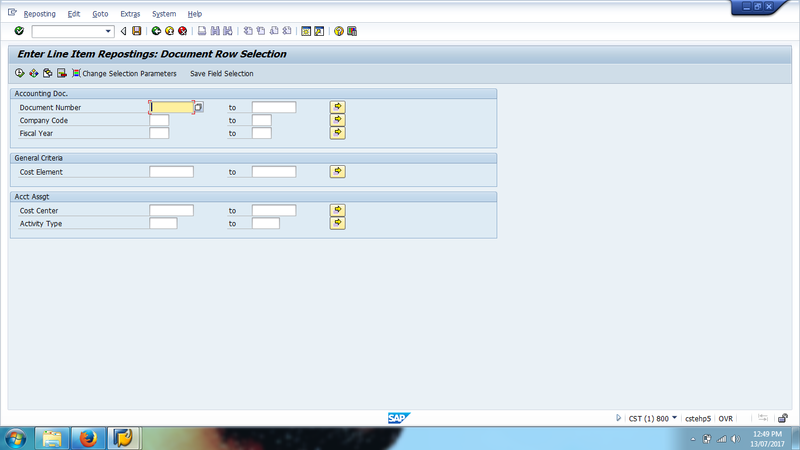 Here, not only cost center but also other account assignment objects such as internal order, WBS elements, etc. can be changed. In case of manual reposting, the document will be posted (corrected) only in CO and in this case FI is not affected at all. So, in FI, still the wrong cost center will be shown in the original document. But when you check the reporting in CO, you will get the correct cost center wise report. For example, you mistakenly assigned the amount of 10,000 USD to the cost element External Procurement and to cost center 5100. The costs should have been posted to cost center 5120. In manual reposting, you can repost the full amount to the correct cost center under the same cost element. This transaction affects only CO, since the costs are debited (to cost center 5100) and credited (to cost center 5120) using the same cost element. You can display the manual reposting document using transaction KB13N. If the document is wrongly posted, we can reverse the document using the transaction KB14N. The third way of doing SAP adjustment postings is to perform reporting of line items. In case of reposting line items, we need to first input the document number, company code, and fiscal year along with cost element against which the wrong cost center was entered and enter the cost center as shown in the screenshot below. Next click Execute button. On the next screen, click on Change Account Assignment button to change the cost center and enter the correct cost center and then click on Save. Once you click on Save button, a document will be generated in CO. 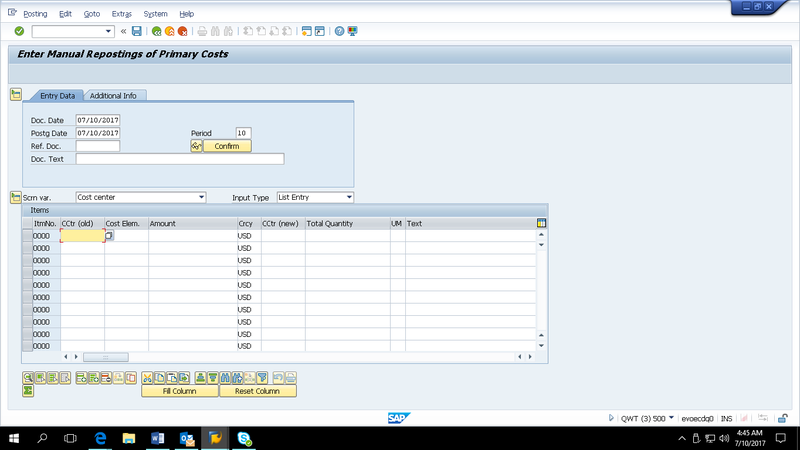 Here, not only cost center but other account assignment objects such as internal order, WBS elements, etc. can be changed. In case of reposting line items, the document will be posted (corrected) only in CO and in this case FI is not affected at all. So, in FI, still the wrong cost center will be shown in the original document. But when you check the reporting in CO, you will get the correct cost center wise report. For example, you mistakenly assigned the amount of 12,000 USD for the cost element External Procurement to cost center 10000. The costs should have been posted to cost center 10001. In manual reposting, you can repost the full amount to the correct cost center under the same cost element. The advantage of using the Transaction KB61 is that there will always be a link to the original FI document and the user cannot make a mistake of posting wrong amount or wrong cost element as they don’t have to enter these fields in this transaction. 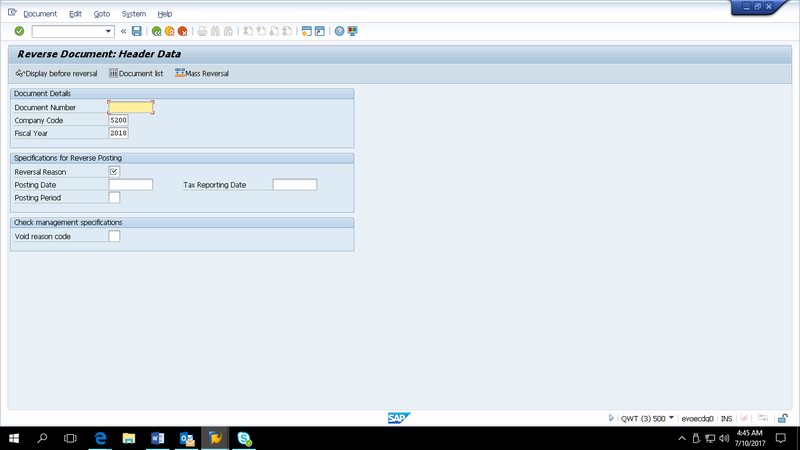 While in case of KB11N, a user has to manually input the fields such as posting date, cost elements, cost center, etc. And also, there is no link to the original FI document. So, it is advisable to use KB61 instead of KB11N. You can display the document using the transaction KB63. If the document is wrongly posted, we can reverse the document using the transaction KB64.